Want to set up a mutual? Why do you need a business plan? What support is needed to encourage the development of community led projects? This group of projects has been funded by the council where it has been required. The aim was to prototype different approaches and review whether each project had the potential to be sustained as a community led venture. For the council to financially sustain community led projects in the long term is neither appropriate or viable. Aside from the financial support, there has also been the time invested from volunteers who have brought with them their expertise and personal commitment. The support required from the council and other organisations for example High Trees Community Trust and Lambeth Living has ranged from a sympathetic ear to practical support. Some projects have required more support than others to explain processes, navigate communication channels and clear blockages. Where another organisation has been the lead such as High Trees Community Trust, they have taken on this responsibility. Further consideration is required to review the available mechanisms and resources to support community led projects at start up through to developing into a sustainable enterprise. New legislation now requires local authorities and other public bodies to consider the social and environmental impact of contracts. This means taking account of a wider set of factors than simply price. To do this it will be necessary to measure the potential social and environmental benefits or costs of a particular provider or approach. 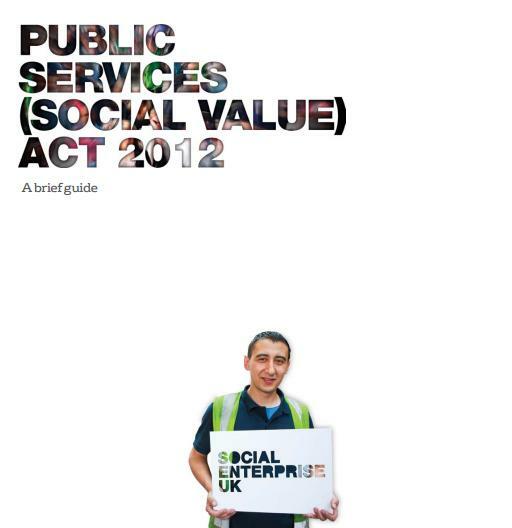 Social Enterprise UK have produced a brief guide to the new legislation – the Public Services (Social Value) Act 2012 – to explain what the Act means and its likely implications for procurement and commissioning. Yesterday afternoon the Made in Lambeth team had a great catch up at the Town Hall in Brixton. It was a chance to get an update on the three projects that were developed at the last event, as well as looking forward to the next event and what projects we could work on in October. Council staff were pleasantly surprised by the amount of people who showed up! It shows that people are keen to stay involved and to contribute to designing and creating local services. A brief round up of the main points follows. The website project is going well, we are working out ways to build up the content in the new website using the work done on the open source website developed at Made in Lambeth. The Love Your Space project is being pushed forward by Public Realm services, who are keen to maintain this as a community led project which allows people to identify unloved spaces and then enable them to do something about them themselves. The design for coproducing Healthwatch will go to cabinet in September, and the plans for this are based on the output from the Good for Nothing event. If approved, they will want to revisit the Good for Nothing Healthwatch team to get involved in the coproduction process. The council needs to be clearer about letting go and transferring power. Being clear that it wants the public to lead on projects, giving permission to take a project and run with it. Develop a project pack for each of the new projects selected that includes background information, data, contacts etc. Identify networks outside of twitter/facebook in order to encourage people with skills to come along. Think about offline networks locally to attract a more diverse range of skilled people. Think about some methods of incentivising people to come along – a crèche? Ownership of projects continues to be important, need someone there who is clear they have the resource to take the work forward beyond the event. Also they could share this ownership with a service user / recipient? The group didn’t feel that much more structure to the events was needed, but did feel that the goals of the event should be more strongly defined at the outset. Especially around doing not talking, voting with your feet and divide and conquer. There was enthusiasm for having regular evening meet ups, but people wanted the format to be different and to learn from our own mantra – less talking more doing! A date for the next one is the 1st August and will take place later on in the evening so that Good for Nothingers can get there after work. Need to think about how we create a space for doing, and can use this space to select future projects. Asset mapping – this came up again and again. There is a need for communities to start to identify the skills in their borough and learn how to engage and enthuse with people who have the skills needed for particular projects. There is a need to learn how to recognise skills – for example someone may be great at project planning, but they wouldn’t necessarily call their skills ‘project planning’. A pool of resources needs to be created which could be utilised by a range of projects. Adding value to existing networks –there is a diverse range of communities and different groups and networks in Lambeth, an excellent resource that would largely welcome being utilised. Yet bringing them together to work presents its own challenges, how can we do so in a way that adds value, not undermines organic structures. A problem which Made in Lambeth could happily tackle! Incentivisation – Why should people get involved in the cooperative council, what’s in it for them? In order to engage people you need some form of reciprocity, Made in Lambeth could explore this and come up with ways of engaging the unengagable! We can explore these themes in more detail at our next get together. As mentioned above the next meeting will be on the 1st august at 6pm, and we hope to create a more relaxed set up with no set agenda. If you want to come along do so between 6-8pm, with the aim of making things as much as possible. If you have any ideas for this, please let me know. Another date for the diary is the 13/14 October 2012 – the second Made in Lambeth event. decommissioning – necessary evil or opportunity for innovation? So, you’ve come up with your brilliant idea for a new service. You’ve managed to get it up and running, and the council or community led commissioning group have commissioned you to deliver the service to Lambeth residents. More and more people are choosing to come to you rather than the service the council was previously providing, and you can show that the quality of the service is better. But here’s the rub – what happens to the old service? Its continuation will ultimately limit the growth and viability of new service. Moreover, the gains to the council of moving to a new service model are limited by continuing to support the older service. Decommissioning isn’t something that’s often discussed, but this new report from NESTA includes a series of case studies from different public services looking at the opportunities and difficulties of decommissioning, and draws some lessons on how to get it right, with practical advice. Ultimately, they argue that decommissioning is a discipline that can act as a spark for creativity and innovation. It can encourage commissioners to constantly evaluate and challenge service models for the impact they have, in turn driving innovation amongst service providers. We are delighted to invite you to our first Transition Institute Spin-out Camp (North West). This is the first of a series of three that will be held throughout the year. Come along to an inspiring and informative day, a neutral space to explore some of the most current debates and issues in public service reform. The event is aimed at both practitioners and commissioners who are delivering and procuring public services respectively. Legal issues (covering issues such as governance and TUPE): lead by Hempsons Solicitors. In addition to the practical workshops and networking opportunities, after lunch we will be presenting and discussing our second Transition Institute Starting Point Paper on the theme of Commissioning and procurement with social value. This paper is intended to set up the basis for a debate to build up a collaborative piece of research. In keeping with this joint approach, we will be hosting a focus group at the event (open to all attendees) to capture thoughts and comments so that we can ensure that this document contains practical guidance for all the relevant issues and concerns. Every person attending the event will receive a copy of the publication beforehand. Social Enterprise UK is the national body for social enterprise and has a wealth of information, news, advice and resources on it’s website here http://www.socialenterprise.org.uk/. The Social Enterprise Guide for people working in local government is full of really useful information and explains how social enterprises can help to meet many local authority strategic objectives, it also gives lots of practical advice about how teams within local authorities can engage with social enterprises to benefit their communities. 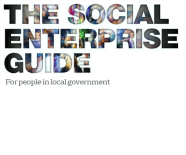 The guide contains some really useful information on the different legal models that social enterprises can take, ideas and information about commissioning and procurement and how to support the creation of social enterprises spinning out of the public sector. The Joseph Rowntree Commission has recently produced a report on how commissioning bodies can enable older people to be at the heart of the public service reform agenda. The report (Involving older people in service commissioning: more power to their elbow?) looks at two areas, Dorset and Salford, where structures and processes exist which encourage and facilitate the involvement of older people in local decision-making. The report provides some useful lessons learnt on the importance of involving older people in the commissioning, not only of health and social care services, but also in areas such as prevention, community inclusion and universal services. the barriers to involving older people.